San Jose, USA, August 1, 2018 – Lexar, a leading global brand of flash memory solutions, today announced it would officially be in full production and shipping globally to major retailers in North America, EMEA, and APAC regions this fall. 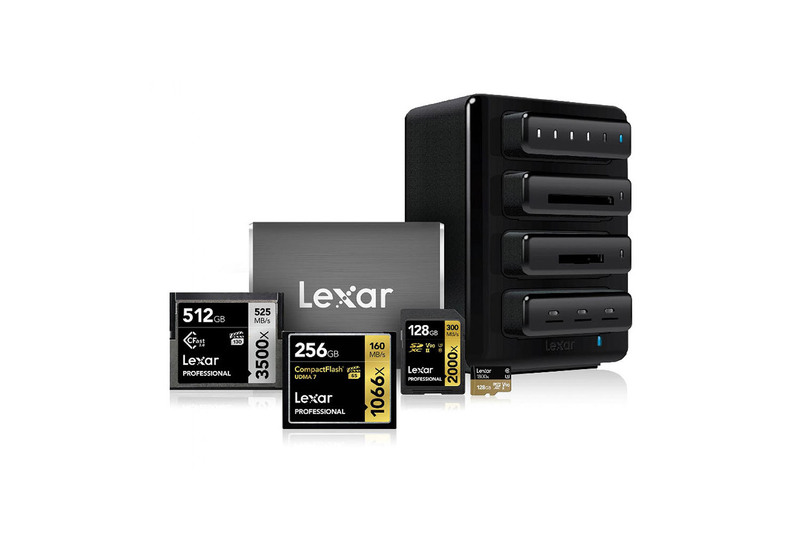 Lexar’s award-winning lineup includes memory cards, card readers, solid-state drives (SSDs) and USB flash drives, geared towards professional photographers, videographers, and content creators who demand high-performance solutions for images, 1080p full-HD, 3D, and 4K video. This announcement confirms Lexar’s return to the high-performance removable storage market and is the first press release from its new parent company, Longsys. High-performance and exceptional reliability will continue to be the cornerstone of the Lexar brand. The combined expertise of Lexar and Longsys will develop and strengthen the range of products and solutions, and continued engagement with professional photographers, videographers, and creative professionals will ensure that the right products are created for the right markets. Lexar is now shipping to major retailers in North America, EMEA, and APAC regions. In some countries, Lexar products will be made available to online retailers, and brick-and-mortar to shortly follow. Lexar will be exhibiting at this year’s Photokina, in Cologne, Germany September 25th – 30th, one of the largest and most exciting shows in the professional photographers’ calendar.